Jacob Eby is my 5x great-grandfather, a descendant of Theodorus Eby. 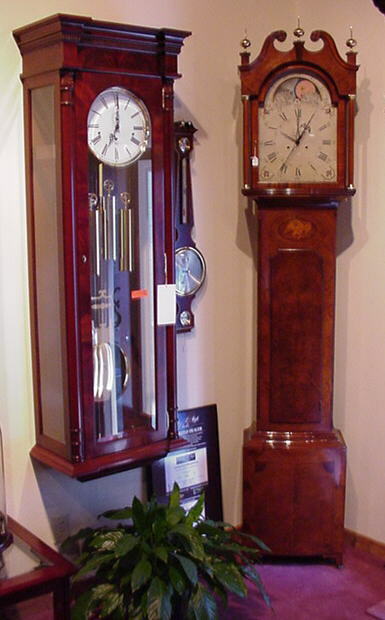 Born outside of Lancaster Pennsylvania, he became a rather renowned clock-maker based in Manheim, Pennsylvania. 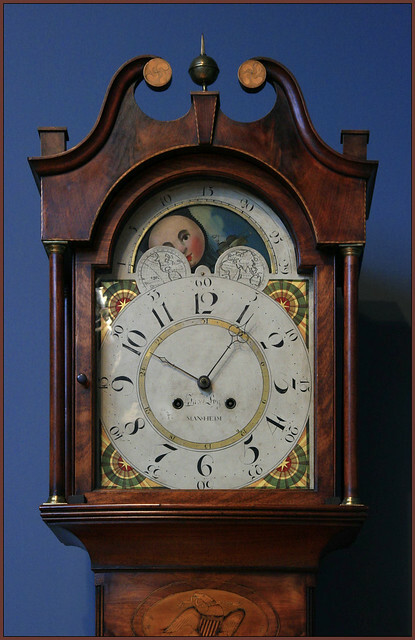 I first came across a mention of his clockwork on Dawn Eby Quast's site about the Eby family, where she mentions that she has an original Jacob Eby clock in her home. Intrigued, I set out to learn more about this ancestor - turns out he was quite the clock-maker, and a number of 200 year-old clocks made by him still exist. Amazingly, the owner of Champ's clock has an original Eby clock in his house - which he made sure to tell me was not for sale! We visit the DeYoung museum rather frequently, and it's amazing to me to think that we've been in the room with a clock made by my great-great-great-great-great-grandfather without realizing it! We're going back over the holidays and I can't wait to see the clock in person now that we know its history.